From commencement speeches to campaign speeches, the affirmation that today’s teens will be tomorrow’s leaders permeates our social rhetoric. In the last decade, advances in technology and social media have virtually ensured that almost any adolescent in our country can express his or her opinions in a public manner that has been unparalleled throughout history. Thousands of YouTube videos pay daily homage to eclectic offerings ranging from montages of dancing cats to poignant testimonials of bullied lesbian and gay adolescents proclaiming that life “gets better”. All over the country, teens are speaking up and speaking out about issues that impact their lives and, as a consequence, are directly contributing to the cultural conversations about these issues. According to an April 2012 report from the CDC, “[t]he U.S. teen birth rate declined 9 percent from 2009 to 2010, reaching a historic low at 34.3 births per 1,000 women aged 15–19; the rate dropped 44 percent from 1991 through 2010.” The report also shows that some disparities continue to exist between racial and ethnic groups, and that all but three states witnessed this declining rate. Obviously, some existing prevention models must be working, yet there is still room for significant improvement. In March 2009, the Citizen Teen Pregnancy Prevention Project launched at South High School in Minneapolis. It was an attempt to provide “proof of concept” that a democratic model typically utilized with adults could be successful with a new constituency. The Citizen Professional model, developed by Dr. William Doherty (Professor, University of Minnesota) is a way of engaging professionals and community members to collaborate without typical hierarchical relationships to address issues traditionally defined as individual problems from a more community-focused perspective. The “citizen teens” included female and male students who had been identified by their teachers as leaders in the school. The “citizen professionals” were representatives from University of Minnesota, school social workers, and community health advocates who served as facilitators of the process. In accordance to the model, the adults participated alongside the teens into deep conversations about how teen pregnancy impacts girls, boys, children, families, and communities. Initially, the girls group and the boys group had separate conversations. Then the groups joined and began to formulate a set of shared messages and strategies for sharing their work with others. The name of the group was dubbed SMART (Sexually Mature and Responsible Teens), which set the tone for how these citizen teens would be described by adults and peers who witnessed their action steps and heard their messages. Teen pregnancy is a problem for teens, children, families and communities. The project drew to a close in April 2012, and truly ended on a high note: the teens appeared on a local radio program focused on health issues, were interviewed for a story that was aired on Minnesota Public Radio, and told their stories for a forthcoming DVD being produced by the University of Minnesota that chronicles their work. The traditional conversation about teen pregnancy is often rife with finger-pointing towards teens with low self-esteem and uncontrolled hormones, parents with poor monitoring skills, or schools who have usurped the moral duties of families to pedal condoms and eschew abstinence. Recent movies such as Juno and television shows such as Sixteen and Pregnant have popularized, normalized and even idolized teen pregnancy. But this group of teens embraced a more community-focused perspective, with messages that resonated with their peers and drew accolades from their teachers, parents, and community members. Clearly, this project is proof that teens are ready, willing, and able to maturely discuss teen pregnancy. 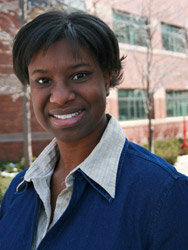 Dr. Shonda Craft is Assistant Professor in the Department of Family Social Science at the University of Minnesota. Her research focuses on addressing health disparities using community-engaged models, with a focus on sexual health. She is also licensed as a couple and family therapist. The room was surging with energy as members of Occupy Wall Street mingled with attendees at the town hall meeting. Harry Boyte and Dennis Donovan, organizers of the event and long time community organizers, invited students, colleagues, and all others interested in learning more about a variety of controversial social issues. This week’s topic: Occupy Wall Street. The over-arching theme of all ‘Town Hall Meetings’ is the regular practice of democracy. It is assumed that all persons attending understand and respect the fundamental principle that guides the town hall meetings: with democracy comes a responsibility as citizens, to learn about what is going on in this country and to delve into discussion and debate, freely, as we decide for ourselves what we believe in. Free and open debate, unhindered by intimidation nor disrespect is critical to the success of the meetings. The clock struckseven o’clock and it was time for the meeting to begin. Mr. Donovan directed the crowd to chairs positioned in a circle, an arrangement intended to facilitate open discussion. He began the meeting by emphasizing key points. “Democracy is argument,” he explained. He reminded the participants, “the freedom to express differing opinions and to debate high profile and controversial issues is a privilege that never should be taken for granted. SeveralOccupy Wall Street [OWS] members interrupted his remarks to suggest changes to previously established discussion guidelines. The OWS ideas were overruled respectfully, and the meeting resumed with the customary participant introductions. “We are the 99%… We are the 99%…” Attention was once again directed to a group of OWS members chanting in unison. As their voices swelled, the room seemed to fill with a sense of unease and tension. What was the reason for their behavior? Did the group misunderstand the purpose for and principles of the meeting? What were the motives? Whatever the reason, the tenacity of the group was evident as members indirectly intimidated other speakers, challenged Town Hall motives, and criticized the Town Hall image as detrimental to its cause. Sam, a college aged participant, had observed and listened intently to the interaction between the OWS members and the other attendees. He was intrigued by the interaction and curious about how the OWS responded to several questions. Finally, he could hesitate no longer, boldly raised his hand and was invited to speak: “Currently, I am taking a history class designed to go over American history from 1945 to the present…with that said, it seems that your intentions are good, but it doesn’t seem like the OWS has clear goals and therefore, lacks in credibility. Also, the end goals they do have are not necessarily tangible.” He paused in anticipation of a response. A response soon followed. Scott, a self-proclaimed ‘leader’ of OWS, spoke candidly and passionately about his work experience and observations of the movement. “My experience during my first day with OWS triggered a ‘what do YOU want’’ question and made me feel like there were forty people and forty different messages… a bit of a narcissistic movement”. Scott concluded by explaining that OWS had no other goal but to achieve active involvement. “We cannot all agree…the trouble is getting involved and the problem is the process”. Harry Boyte, co-planner of the Town Hall Meetings and seasoned organizer, joined the discussion by acknowledging that the movement exposed very vividly the issue of inequality inAmerica. However, he warned the group about the inherent harm of fostering and furthering divisiveness. Boyte used the example of a woman at the meeting. He described her emotions by saying that she “felt hopeless, OWS gave her hope”. He cautioned, “You cannot go about dividing the world into good and bad and expect to gain momentum and ultimate success”. Several participants voiced their opinions regarding the tactics used by the OWS to attract public attention. Hate speech and vulgar actions, it was noted, would eventually destroy the OWS public image and the group’s message. The OWS member placed blame on media’s reporting of events and the tremendous emotional response that ensues when confronting established power. “False media interpretation”, he said, “It gets intense when people go up against power”. Many who sat in the circle of chairs may have considered the OWS GROUP ‘intruders’. Yet, despite this unexpected and uncomfortable intrusion, those in attendance learned much about both sides of the issue. Discussion became intense at times. Yet, the non-OWS participants had an opportunity to hear the issues of the OWS first hand, observe their passion, and gain a better understanding of their position. The OWS, on the other hand, was the recipient of excellent advice. They learned that the public was confused by the inconsistency of the message, impatient with the polarizing strategies and tactics used, and saw hypocrisy in the group’s policies and beliefs. It became clear that if the OWS movement is to continue and earn public attention and respect, it must achieve a very clear and consistent message, redesign strategies, and invite the 100% to the table. Sarah Sprayberry is an undergraduate student at the University of Minnesota and a motivational speaker on the topic of public achievement, democracy and citizenship. How Should Higher Education Help Us Create The Society We Want? On April 19, 2012, Winona State University hosted the inaugural civic summit on the National Issues Forum and American Commonwealth Project Deliberative Dialogue Initiative on Shaping Our Future: How Should Higher Education Help Us Create The Society We Want? The first national conversation using this issue guide was held in honor of WSU’s retiring president, Judith Ramaley, who is a tireless advocate for higher education and its civic mission. President Ramaley serves as a member of the President’s Council for the American Commonwealth Partnership. Over 110 participants attended the Civic Summit at Winona State University. Individuals came as high school and college students, university faculty and staff, community members, higher education experts, media editors and journalists, local law enforcement, and business people. It was quite the range of participants and they were mixed in groups with WSU students as trained moderators through the Minnesota Campus Compact moderator training series. When organizing the Civic Summit, we immediately determined the event should be student led, as moderators, participants and organizers. This stems from our rich experience in student organizing and mobilizing efforts. It also reflects our experience with the Center for Democracy and Citizenship’s training led by Harry Boyte and Dennis Donovan in the “We the People” series held with the Minnesota Campus Compact in Spring 2011. For many of the fifteen plus students who became moderators, this was a new experience. Despite its unfamiliarity, the students rose to the challenge, prepared their notes, and were comfortable enough to welcome others to their tables. Each group of approximately 10-12 guests had two students—one as moderator and one as recorder. Each group was designed to have a variety of individuals from different backgrounds, however the structure was very minimal to encourage open and honest discussion. With little formality, students forged ahead, were indeed taken seriously by others, and extolled confidence and credibility to members of their groups. One particular group that was indicative of the principles behind the NIF process included a local and well-respected business person from the Winona community. Known for his conservative underpinnings and his large contributions (nearly a quarter of a million annually to local grants and scholarships for students and community members), this community member began with strong support of American exceptionalism and Approach One. It was evident of the potential generation gap experienced within the group as the local businessman began the discussion by voicing his stereotype that young people were lazy, took out too many loans, and used the money to go on vacation. As one student shared his personal experience in joining the army (ROTC) to fund his education and his education at MCTC and transferring to WSU, without adequate financial aid and the lack of family support to co-sign loans, group members visibly recall the local businessman becoming more favorable and open to thinking about other ideas and other perspectives, with genuine respect towards the student advocating for and needing more student and financial aid. It became clear the businessman had changed his mind after he heard the student’s personal experience and was open to seeing the other side as the group’s discussion continued. In the end for the local businessperson, Approach II received support to train responsibility through community service. While there was not an overall consensus regarding one approach over the other in this group and many others, this particular experience in the Winona Civic Summit: NIF Forum demonstrated a student and a businessman taking each other seriously and respecting their differences on the shared purpose of higher education. Even though participants came from all sorts of backgrounds but with a shared interest and common purpose, in the end the differences we previously used to distinguish ourselves were less important and noticeable than the sense of community, which was established over the shared principles of mutual respect and open discussion. Student-moderators thoroughly enjoyed the process and felt empowered to be taken seriously and welcomed in a group of diverse generations and members. We feel very fortunate to have launched this national conversation on the role of higher education in communities such as ours. We also want to thank all of the participants for thoughtfully contributing to the health and well-being of democracy and deliberative dialogue in Winona. Special thanks are extended to the Kettering Foundation, the National Issues Forum, and the American Commonwealth Partnership for granting us permission to pioneer this dialogue. We wish President Ramaley the best in her retirement from Winona State University and appreciatively recognize and celebrate her support of the civic mission and the civic responsibility of the university with Winona and beyond. 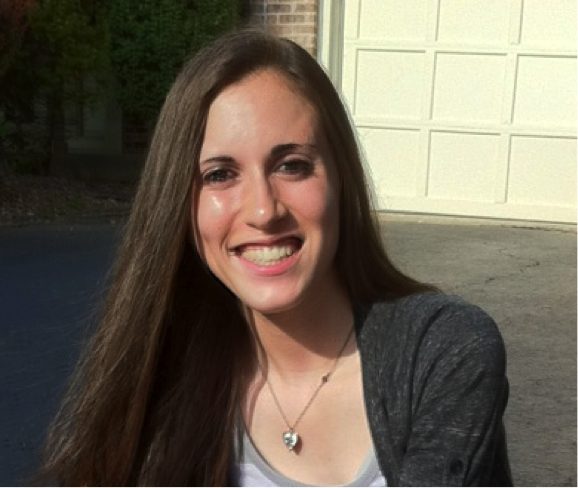 Courtney L. Juelich is a junior at Winona State University and a major in Political Science and Public Administration with a minor in Economics. She was one of the student organizers of the Civic Summit. Her hometown is Chanhassen, Minnesota. She was the creator and writer of the 2012 Warrior Grant named “The Green Grant”, which after winning the student referendum vote will create a self-sufficient composting system for the Winona State campus to collect organic food scraps as well as to educate the student body on the process of composting and how it is beneficial to the environment. Laura A. Lake is a junior at Winona State University and a major in Political Science and Public Administration with a Music minor. She is involved in Pi Sigma Alpha, Political Science Association, Student Senate, and National Residence Hall Honorary, and is currently a Resident Assistant, and will be an Assistant Hall director in the following year. Laura was the lead organizer of the Civic Summit. Her hometown is Hillsboro, Oregon. Kara Lindaman serves as the American Democracy Project Coordinator at Winona State University, where she is an associate professor of political science and public administration. She also serves on the Steering Committee of the American Commonwealth Partnership and enjoys collaborating with civically minded and passionately motivated students such as these.